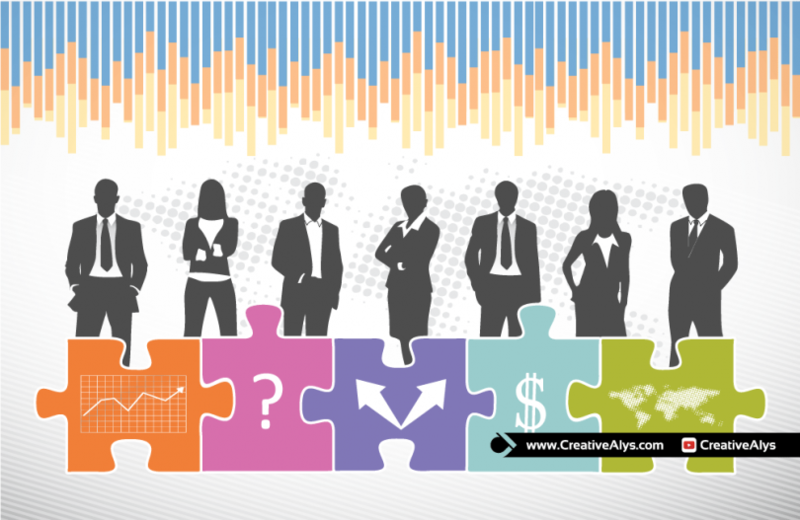 Here is a beautiful business vector illustration featuring business people silhouettes, concept puzzle pieces, business graphs/charts, dotted world map and other business elements. Business brochures, web pages, presentations, graphic intros and other designs can use these for attractive look. This vector illustration is licensed under CC Attribution-NC 4.0 International License. Get it now and feel free to share it. Also don’t forget to visit our design shop for more great design resources at unbeatable price. Subscribe to our YouTube Channel to get more amazing stuffs.